Jan. 29 (NBD) -- Japanese car maker Toyota Motor Corporation (Toyota) and electronics company Panasonic Corporation (Panasonic) announced last Tuesday that they are going to set up a joint-venture related to the automotive prismatic battery business by 2022. Under the agreement, Toyota will take a 51 percent stake in the joint venture and Panasonic with 49 percent. 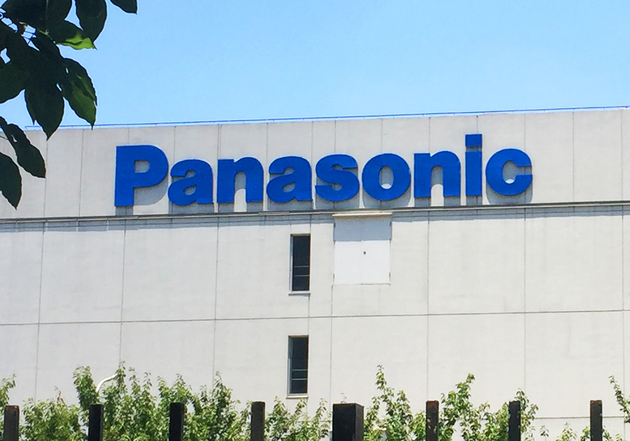 After the new company is established, except the battery plant co-run by Tesla and Panasonic, the other five battery plants under Panasonic will be managed by the new company. That means Panasonic's battery plant in northeast China's Dalian will also be handled by the new company that is controlled by Toyota. For Toyota, the new joint venture will help to piece together the supply chain of its electric vehicle production in China. If the deal goes well, the batteries made by Dalian factory will be used in Toyota's electric vehicles in China soon, said an insider at Toyota China unit to news outlet the 21st Century Business Herald. An industry insider said for Panasonic, the tie-up with Toyota in turn will give it an edge in the power battery sector so as to compete with Chinese and South Korean rivals in scale. It is worth noting that besides Toyota, batteries produced by the new company will be open to other car makers, which means the batteries made by Dalian factory may be open to Chinese car makers. Of course, Toyota is not the only car maker that Panasonic targeted in China, the world's largest new energy vehicle market. Some industry insiders predicted that the power battery market in China will be reshaped in 2020. It is noted that subsidies for electric vehicles are decreasing and will finally be canceled by the end of 2020. Till then, the battle ground will be leveled for local battery makers and Japanese and South Korean counterparts. Technologies and costs will become deciding factors for car makers to choose which battery maker to work with. According to a report released by international investment analyst institution UBS, the cost of 21700 cylindrical battery made by Panasonic for Tesla is about 111 U.S. dollar per KWh and LG Chem's battery cells at 148 U.S. dollars per KWh. The cost of Chinese battery giant CATL battery cells is the highest, over 150 U.S. dollars per KWh. In comparison, with subsidies being cut, battery makers with lower costs will become more advantageous. Given that, South Korean battery makers including Samsung, LG and SK were seen staging a comeback in China market by establishing factories in the country in 2018. Luo Lei, deputy secretary-general of the China Automobile Dealers Association, said that the entry of foreign battery makers with lower costs will push local companies to upgrade technologies. During the competition, some small- and medium-sized enterprises will be phased out in the end. Wang Binggang, an expert in the electric vehicle industry, previously told the 21st Century Business Herald that the battery industry is bond to face a reshuffle as there are too many battery makers in the market with different qualities. "We have to be ready to face up with fierce competition," he added.